If you do not like the idea of going by yourself to a Gay Sauna in Guangxi Zhuangzu Zizhiqu, it is always a fantastic concept to be accompanied by a friend or your partner to have a fantastic time. At a gay sauna, there are a lot of activities you can delight in such as, spending an evening or a weekend, hanging out, watching the game, getting a drink or enjoying three-course meals in the fancy bars and restaurants in some of these places. In a gay sauna you can locate jacuzzis, steam saunas, Finnish saunas, darkrooms or roman saunas, among many other things. Gay sauna is a place that agrees with each and every kind of crowd there are hip saunas for the young crowd and there are cultured saunas for a lot more matured crowd both are equally vibrant and impressive with pools, outdoor terrace, busy bathhouse, state of the art wellness facilities and lots more. Good saunas have really nice staffs that pamper the consumer with great services and he can delight in the standard sauna sessions, and there are rooms for smokers to enjoy their cigars with out bothering other patrons. 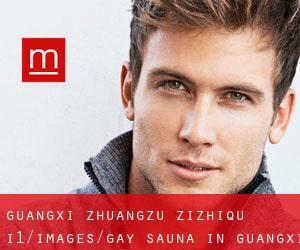 In Menspaces you can discover all the information about any Gay Sauna in Guangxi Zhuangzu Zizhiqu, such as schedules, address, telephone number or web page.